Video Surfaces of Obama Showing off His Erection to Giggling Female Reporters; Hypocrisy on Trump Much? First off, let me say that it’s a pathetic day when I am reporting on this, but hey, it’s the reality we live in. Our government and mainstream media are a bunch of little kids. This further proves it. The media has not stopped buzzing about the fact that ten years ago, Trump made some piggish locker room comments that included the word “p*ssy”. While that speaks for itself on Trump (it’s hard to believe people are really that surprised, it’s Donald Trump we’re talking about here after all), the entire event shows you how the media spins information to paint candidates in a positive or negative light for the American public based on establishment goals. 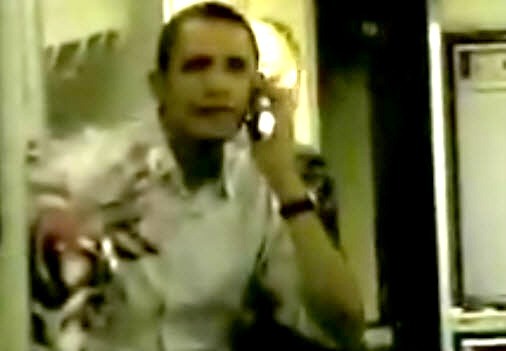 The video, shot by CNN in 2008 while Obama was on the campaign trail, speaks for itself. You can hear the gaggle of female reporters giggling about it too. Now just consider for a moment what would happen if this was Donald Trump.